13 MP+ 5 MP Camera on this budget. You can use microSD card up to 256 GB. Best Budget phone of the year. 2 GB RAM is not comfortable. 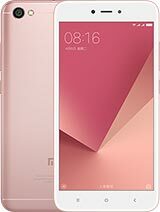 Xiaomi Redmi Y1 Lite smartphone was released November 2017. This phone powered by Android 7.0 OS and it’s comes with 5.5 inches IPS Display with a resolution of 720 pixels by 1080 pixels. Redmi Y1 Lite has 1.3 GHz Quad Core CPU and it’s packed with 2 gigs of ram and 16 gigs of internal memory that can be increased up to 256 GB via microSD card. As far as this device camera was not so good but it’s a better camera of this price range. This device uses 13 MP f/2.2 lens on rear and 5 MP f/2.0 front shooter for selfies. This device is powered by 3080 mAh Non-removable battery that can be standby up to 260 hours and up to 35 hours talk time in 3G and 92 hours music playback. This device is upcoming device and price range is about 8,900/- BDT.